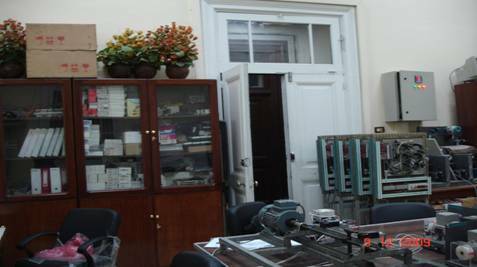 Integrated Digital Industrial Systems Lab has been established in the frame of cooperation between the ministry of Industry and the Faculty of Engineering Cairo University. One of the main objectives of the lab is to contribute in offering practical training for the recent graduated engineers and under-graduate students. This objective is achieved by various means such as providing training courses and by introducing lab Facilities to help undergraduate students in graduation projects and in lab sessions. Training is not the only concern of the lab Among other lab activities, is to offer technical solution for engineering problems in industrial sector in Egypt. The lab is also working on research projects with other parteners. The lab is equipped with 10 identical units. The unit is actually a total integrated automation supported by Siemens hardware and software. Each unit contains PC, PLC, ‎HMI, SCADA, AC Drive, CNC simulator and smart sensors. 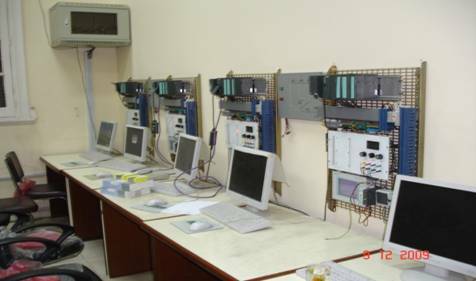 Other than such units, the lab is supported by a variety of modern electronic measuring instruments and industrial electrical training facilities. Three of the lab team are siemens authorized trainers. Since the launch of activities in 2008, more than 300 engineers – students – joined the courses. Five graduation projects have been implemented in the lab. 1. The holding Company for drinking water and waste water. 2. Ministry of Irrigation and water resources. 5. South Cairo Electrical Distribution Company. 6. Smart village (ITI, ITIDA).